Like me you probably have a laundry list of things you wish you had done sooner. Buying a Sonicare toothbrush is on my list, taking hot yoga classes, and probably most glaringly working with a financial adviser. I have this tendency to do this thing that drives my wife crazy, it goes like this. She tells me something, either something I should try or something she heard about that she thinks is interesting. A few months or more later I mention to her that "so and so said I should try this" and she stares at me and says "Are you serious?" This means that she had made that suggestion earlier and I blew it off. Most recently I had been advised by a professional cyclocross racer that the "Scientific 7 Minute Workout" is great for relieving lower back pain from racing. I mentioned this to Gwynne and she told me that she had suggested that about 4 months ago and I scoffed at the idea. I don't remember that, but she also is not a professional cyclocross racer, in my defense. A similar thing happened with the whole financial adviser idea. It had been something Gwynne had been suggesting for sometime but after we went out to dinner with a friend who explained some of the things that her financial adviser had helped her with, it became and idea I finally entertained. It's probably some of the best money we ever spent. While we pay an annual fee to our "guy" we have seen our net worth increase DRAMATICALLY. Really, really dramatically. 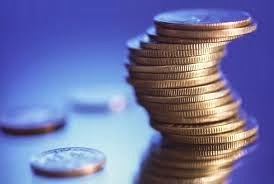 I think by understanding how to approach debt, like say student loans aggressively, and how to manage our savings, coupled with completing a will, and purchasing additional life and disability insurance the whole process has been incredibly helpful. I had always thought of us as smart people and so the idea that we needed someone to tell us how to manage our finances sounded crazy to me. I was wrong, including the time I dialed the wrong number in 1997 and a wrong left turn I made in February of 2004, this makes three times now. I try not to make a habit of it. First let me say that wine, as wonderful as it may be to drink and enjoy should not be seen as a financial investment. It's simply not a reliable return on investment and when it is, from a percentage standpoint it's nominal, perhaps enough to cover your next wine purchase but it's no way to live. Instead, buy nice wines and drink them with friends over dinner, now that is an admirable way to live. This week's Friday Find is not necessarily going to set you up for long term financial success but in terms of delivering a high return on investment it certainly will do that. 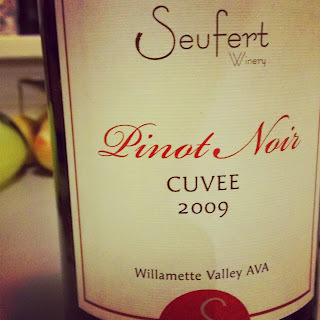 The 2009 Pinot Noir Cuvee from Seufert Winery has us once again singing the praises of this tiny winery in Dayton, Oregon. Jim Seufert produces a number of single vineyard Pinot Noirs and we did a piece on them a couple years ago that you can read here. 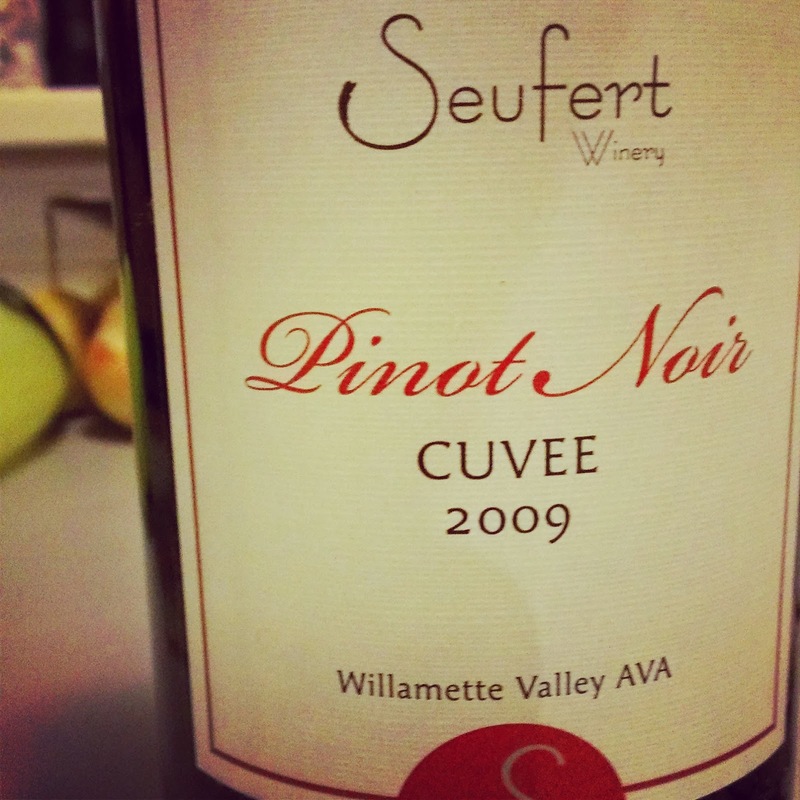 The 2009 Cuvee is a $20 Pinot Noir crafted from a variety of Willamette Valley sources that punches way above it's weight class. Great ripe berry aromatics, floral elements, with notes of clove and baking spice. The palate makes a case for a really pretty Pinot Noir with brightness and elegance from what has otherwise been noted as a ripe vintage. Flavors of ripe raspberry, Montmorency cherries and nutmeg finish out with a fresh acidity. You can order the wine direct here.